5:00 – 6:00 PM: (Room 1) “The Basics of Racing” – Set-up, tire and general maintenance on Street/Pure/Factory Stock and Front Wheel-Drive (asphalt and dirt) “U-car” divisions. 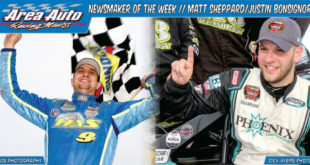 Presented by Roy Anderson of Anderson Race Cars. responsibilities you need to be aware of as a racer and/or track operator. Open to racers and promoters/track managers. (Note: Legal questions will be answered at no charge during the presentation). 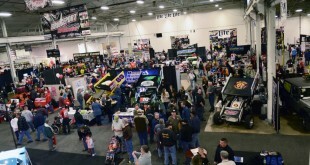 1:00 – 2:00 PM: (Room 2): “Fast To The Finish In An Asphalt Modified” – Presented by renowned NASCAR Modified Tour champoinship crew chief BRAD LAFONTAINE. 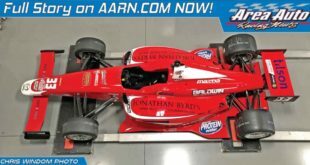 From maintance at the shop to fine tuning at the speedway, Lafontaine of NorthEast Race Cars is willing to share the knowledge and answer your questions. 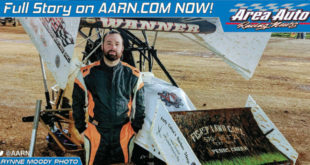 1:15 – 2:15 PM: (Room 1): “Sprint Car Help And Q and A” – Greg Hodnett’s winning crew chief Ryan “Roach” Hand will share his knowledge of preparing a Sprint Car for dirt track competition from the work in the shop to pre-race jobs at the speedway. Hand will be open to answer questions from attendees as well. 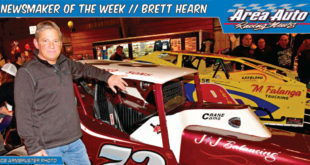 2:15 – 3:15 PM: (Room 2) “Dirt Late Model Set-ups and Chassis Tuning” — presented by Jim Bernheisel of Bernheisel Race Components/Lazer Chassis. 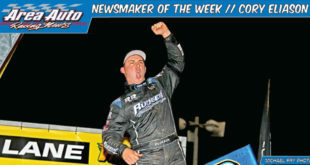 Let one of the sports experts in dirt Late Model chassis building and driving point you in the winning direction from Super to Crate Late Model competition. 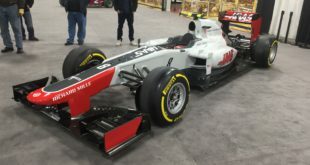 2:30 – 3:30 PM: (Room 1) “WHAT YOU NEED TO KNOW ABOUT RACING SHOCKS” – Presented by Mike Walton and Bruce Harwood of Fox Shocks. Hear from the experts how you can tune your race car with shocks, what affect gas PSI has, linear vs. digressive valving, shock maintance and how to read a dyno sheet. This informative seminar will end with a questions and answer peroid. 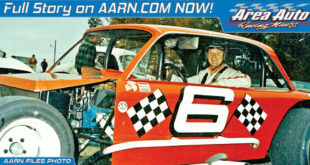 3:30 – 4:30 PM:(Room 2): Winning Dirt Modified/Sportsman Prep – Randy Williamson, of Bicknell Race Cars will outline how one of their winning racecars can be properly prepared for competition. Williamson, who also fields a car for his son and works closely with many other top drivers, will offer an inslight on the work needed on the car to first finish before it can finish first. 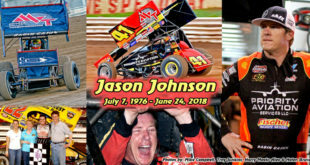 He’ll also be available for questions and answers on all subjects regarding dirt Modified and Sportsman racing and set-up help. consultant and motorsports journalist John Snyder. The basics you need from writing proposals and who do send them to is covered from an expert who has had winning success. 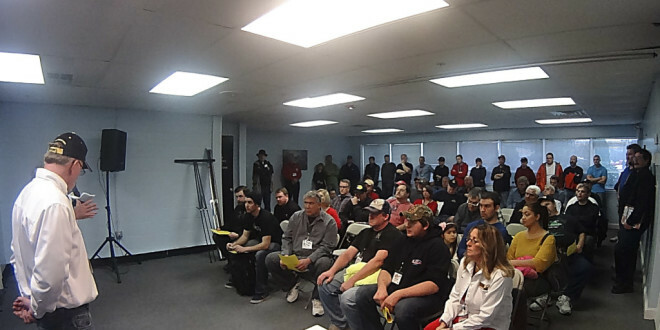 5:00 – 6:00 PM: (Room 2) Race Track/Tour & Series Media Workshop — Open discussion between racing writers/photographers and track/series Promoters/Managers and Press Directors as to professionalism, credential usage and pre and post-event coverage. A featured topic will be “Today’s Racing Social Media”, with emphasis on how tracks/organizations are using Facebook, Twitter and related “social media” in publicizing their events; and “credential approval by tracks in the new era of social media.” Hosted by Lincoln, Pa., Speedway media staff members Wayne Harper (press director) and Bill Meyer (webmaster). 1:45 – 2:45 PM: (Room 1) “How To Get Started In Quarter-Midget Racing” presented by Stephen Boyd of Quarter Midgets USA – What you need to know, purchase and do to get your child into racing from the technical, rules and safety aspects.